This page is a breakdown of all the things I've loved about Los Angeles in the 24 years I lived there to explore it. Some are links to blog posts I've written about that place too for more about my personal experience. Los Angeles doesn't really have a "city center" unless you consider downtown Los Angeles the Los Angeles of Los Angeles. But then again, when people think of LA, I imagine they think of movie star LA — the way it's portrayed in the movies with it's city lights, high-traffic freeways, fancy mansions, and — my personal favorite — open ocean and beaches. But in-between it's theatrical representation and actual reality, there is so much to see and do. And each area has it's own unique activities, culture, and events. Because of that, I feel that Los Angeles is best explored by area. Adjustable day itineraries — do as little or as much as you want! And check the map above to see if there's other things within that area that you can add on to! The great thing about Los Angeles is that there are a lot of accessible places just a car ride away. And sometimes, it's really what I need to get a break from the city. Scroll through the below featured posts to discover more about Los Angeles and things to explore. 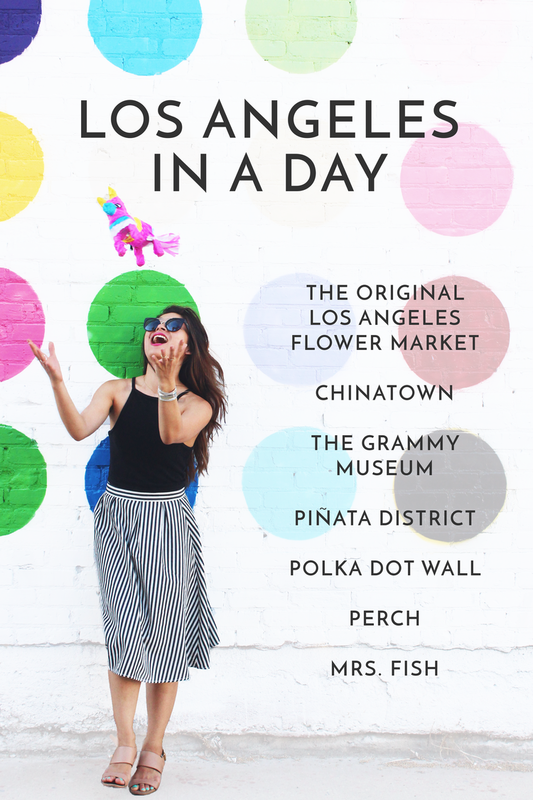 Designlovefest has recently started to focus more on fun things to do in Los Angeles including where to find the best photobooths!